Switch the oldest partition to the temporary table. After that you can either truncate or archive that data. Possibly even switch this temporary table as the new partition in the historical table. There are quite a few resources that can show how you can achieve that from the technical standpoint. You can see the example in technet. I’m not going to focus on the implementation details and rather talk about a few less obvious aspects of the implementation. need to maintain another table with (Date,ID) correlations although it would pay itself off because of less storage and better performance requirements. Of course, such assumption cannot guarantee that row always ends up on the right partition. If, for example, insert is delayed, ID could be generated after the split. But in most part of the cases you can live with it. Second thing is creating the new partition. Let’s take a look at the example. 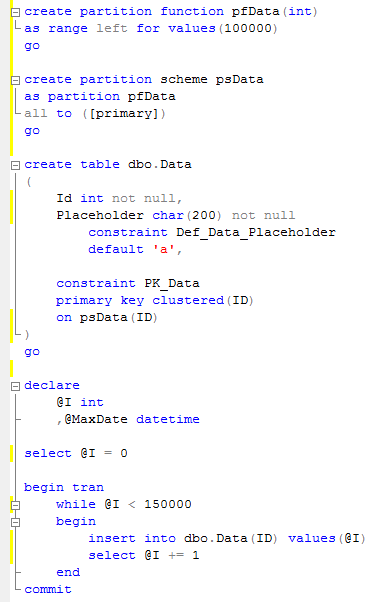 First, let’s create the partitioned table and populate it with some data. This table has 2 partitions – left with ID <= 100,000 and right, with ID > 100,000. Let’s assume we want to create another partition for the future data (let’s even use ID=200,000 as the split point). 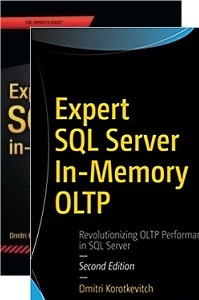 At this point, SQL needs to find out if some data needs to be moved to the new partition. As you can see, it produces a lot of reads. Now let’s try to create another partition with 300,000 as the split point. If ID is identity, insert the dummy row with identity insert on after split in order to start placing the new data to the new partition. Obviously you’ll have holes in the sequence. Last thing I’d like to mention is locking. Partition switch is metadata operation. Although it will require SCHEMA MODIFICATION (Sch-M) lock. This lock is not compatible with schema stability (SCH-S) lock SQL Server issues during query compilation/execution. 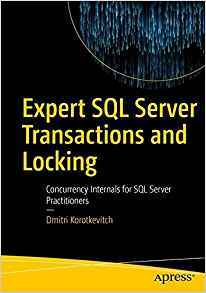 If you have OLTP system with a lot of concurrent activity, make sure the code around partition switch/split handles lock timeouts correctly. Also – check this post – it could give you some tips how to decrease the possibility of deadlocks during partition/metadata operations. 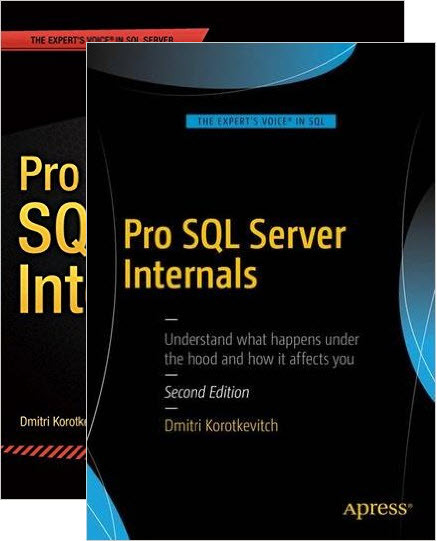 This entry was posted in General, SQL Server 2005, SQL Server 2008 on December 29, 2010 by Dmitri Korotkevitch.